Soon after September 11, 2001, Robert Satloff moved to Rabat, Morocco, to search for Arab heroes during the Holocaust. Listen to him explain why. We want to hear from you. Use this space to comment on our series. The US Holocaust Memorial Museum may use your comments for educational, research, and Museum purposes, including publication. A selection of comments may be posted on our website, at our discretion. There were Arabs who collaborated with Nazis and with other European fascists and there were Arabs who refused to collaborate. And in this respect, Arabs were not that dissimilar than Europeans. Many were indifferent to the fate of Jews around them. 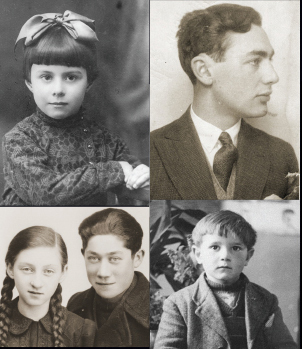 Some collaborated and a smaller, though very important number, refused to collaborate and helped save Jews. Troubled by widespread Holocaust denial in the Arab world, author Robert Satloff began to search for evidence of one Arab who saved one Jew during the Holocaust. What Satloff found is a largely untold history of complex relationships between Arabs and Jews in North Africa during the Second World War. He recounts these experiences in his book, Among the Righteous: Lost Stories from the Holocaust's Long Reach Into Arab Lands. Welcome to Voices on Antisemitism, a podcast series of the United States Holocaust Memorial Museum. I'm Daniel Greene. Every other week, we invite a guest to reflect about the many ways that antisemitism and hatred influence our world today. Here's historian Robert Satloff. Obviously, the Holocaust is overwhelmingly a European story. It was spawned by Europeans, perpetrated by Europeans, and implemented principally on Jews and others in Europe. But there is an important and overlooked component of this in the Arab world, too. From the very beginning, the Germans and their allies sought to impose their vision of the world on all the lands the Germans hoped to conquer, and this included a great Arab expanse from Casablanca through Cairo, and now recent evidence shows even through Palestine. Thankfully, the war was over in this part of the world by mid-1943. And so they weren't able to implement their vision fully, but they made great strides toward this, incarcerating thousands of Jews in labor camps in Morocco and Algeria and Libya and Tunisia. And, Arabs played a role at every stage of this. They played a role at the height of government where you had Arab guards, Arab train engineers, Arab translators, Arabs going door to door with the SS in Tunisia identifying which houses were Jews, which houses were not Jews. At every stage, Arabs played a role. It only makes sense that there were some Arabs who did what they could to help, and even rescue and save Jews. I and my family moved to North Africa shortly after 9/11, and from there I began a search for Arab heroes of the Holocaust. I mean, there's one amazing story, for example, about Algiers in 1941 or '42 where all of the mosque preachers, all the imams issued an edict prohibiting the Muslims of Algiers from becoming custodians of Jewish property, which was a very lucrative business in the early years of the war. And not a single Arab, not a single Muslim accepted the offer from the Vichy government to become a custodian of Jewish property. That's a remarkable story that we should be telling because it is something to be proud of, that Arabs should be proud of, and something that Jews should know is part of this mosaic. I received messages from people that just showed basic humanity, that showed how people may not have risked their lives, but they risked something that was close to them. These people will never be known. These heroes will never be known to history by their names. But I think it's important to remember that this basic humanity, Arab to Jew, occurred at a time of extraordinary hardship, great persecution, that these sentiments of brotherhood existed. And they should be remembered and recognized for what they were. Voices on Antisemitism is a free podcast series of the United States Holocaust Memorial Museum. Join us every other week to hear a new perspective on the continuing threat of antisemitism in our world today. We would appreciate your feedback on this series. 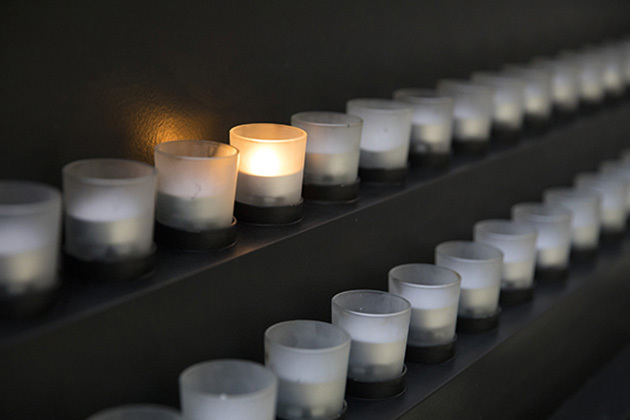 Please visit our website, www.ushmm.org. FURTHER READING: For more information see chapter 4, "Nobody Told Them to Do That" (PDF), and chapter 5, "The Arabs Watched Over the Jews" (PDF, from Robert Satloff's Among the Righteous: Lost Stories from the Holocaust's Long Reach into Arab Lands (Copyright © 2006 by Robert Satloff. Published in the United States by PublicAffairs™, a member of the Perseus Books Group).